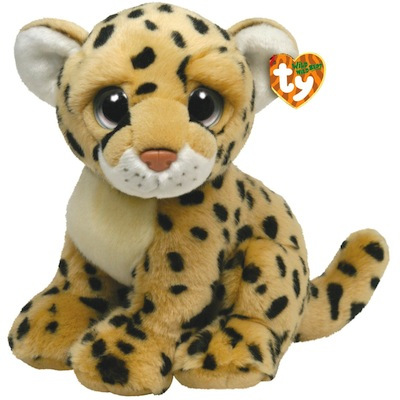 Home > Toys > Plush > Search By Brand > TY > Serengeti the Cheetah 11"
Serengeti is one of the Wild Wild Best. He is made exclusively of a luxurious acrylic fabric. His deep and vivid eyes are hand painted and custom designed. The detailed coloration on his body is hand air-brushed. One of Ty's newest wildest popular collections. Look for the familiar heart-shaped tag that means youÕve purchased an authentic Ty product. Handmade with the finest quality standards in the industry. Collect them all.